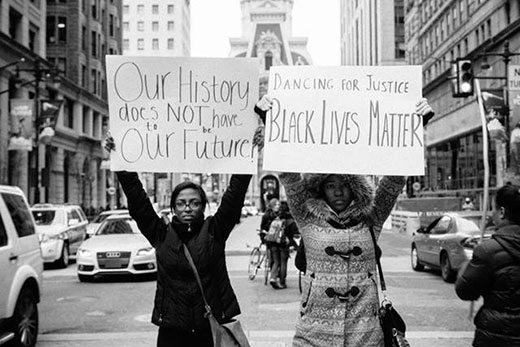 Arts at Emory hosts a diverse slate of events for February, featuring a series of Black History Month performances that includes an interactive presentation from Dancing for Justice Philadelphia. Courtesy photo. Internationally renowned master voice teacher Julia Faulkner will teach Emory voice majors in two vocal master classes on Wednesday, Feb. 1, at 6 p.m. and Thursday, Feb. 2, at 2:30 p.m. in the Performing Arts Studio. The classes are free and are open to the public to observe. The Emory Film and Media Studies department continues its Cinematheque series featuring films from the UCLA Film & Television Archive Festival of Preservation Tour every Wednesday at 7:30 p.m. in White Hall, Room 208. This month’s film screenings include “Bachelor’s Affairs” (1932) and “The Big Broadcast” (1932) on Feb. 1; “Spring Night, Summer Night” (1967) on Feb. 8; “The First Legion” (1951) on Feb. 15; and “White Zombie” (1932) and “The Crime of Dr. Crespi” (1935) on Feb. 22. On Sunday, Feb. 5, at 4 p.m., Emory University organist Timothy Albrecht and his colleagues perform a free concert entitled “Bach Bowl” in the Emerson Concert Hall at the Schwartz Center for Performing Arts, so you can join in this annual Super Bowl Sunday tradition before watching the big game. In the special interactive presentation “Moving Our Stories: Embodiment, Dance and Social Justice,” Dancing for Justice Philadelphia engages participants in a multi-modal embodied storytelling experience as part of their movement to honor black lives lost to police violence and to create spaces to convene around racial injustice. The presentation gives participants the chance to build empathic connections between individual and collective experience, and demonstrates intersections of embodiment and social justice practices. This free event will take place on Tuesday, Feb. 7, at 7:30 p.m. in the Oxford Road Building's presentation room. Theater Emory presents a staged reading of Aimé Césaire’s “A Tempest.” Directed by Paul Carter Harrison, this rendition of a Shakespeare classic makes use of African oral tradition to confront issues of race, power and colonialism through a Caribbean lens. “A Tempest” runs from Thursday, Feb. 9, through Saturday, Feb. 11, at 7:30 p.m., with a 2 p.m. matinee on Sunday, Feb. 12, in the Theater Lab of the Schwartz Center. Tickets are free, but reservations are required. Jazz Fest at Emory brings a bevy of events including a master class on Thursday, Feb. 9, at 2:30 p.m. in Emerson Concert Hall with Teodross Avery, Rodney Whitaker and Carl Allen. Jazz Fest continues with a special performance by Teodross Avery and the Gary Motley Trio on Friday, Feb. 10, at 8 p.m. also in Emerson Concert Hall. Tickets are on sale now. On Saturday, Feb. 11, at 11 a.m., Carl Allen gives a free jazz-focused drum clinic in the Tharp Rehearsal Hall of the Schwartz Center. Join the Emory Big Band, featuring the Gary Motley Trio, Rodney Whitaker and Carl Allen for an evening of swing in Emerson Concert Hall on Saturday, Feb. 11, at 8 p.m. This event is free and open to the public. Atlanta playwright, director and Emory Playwriting Fellow Jiréh Breon Holder gives a free reading on Tuesday, Feb. 14, at 6:30 p.m. in the Jones Room of the Woodruff Library. Holder was recently named the winner of the Kendeda National Graduate Playwriting Competition for his play “Too Heavy for Your Pocket.” After the reading, stick around for a book signing and reception courtesy of the Playwriting Center of Emory University, the Department of Theater and Dance, and the Emory Creative Writing Department. On Wednesday, Feb. 15, at 8 p.m., the Emory Youth Symphony Orchestra, conducted by Richard Prior and associate conductor Paul Bhasin, performs a free concert in Emerson Concert Hall. On Sunday, Feb. 19, at 4 p.m., U.S. Poet Laureate Juan Felipe Herrera gives a free poetry reading in Emerson Concert Hall. Herrera is the current and first Hispanic U.S poet laureate as well as the winner of the National Book Critic’s Award in 2009. A signing will follow this free event, with books available for purchase. Canadian virtuoso pianist Philip Thomson performs works of Franz Liszt and Felix Blumenfeld in Ackerman Hall of the Michael C. Carlos Museum on Friday, Feb. 24, at 12 p.m. The Emory Wind Ensemble, conducted by Paul Bhasin and featuring Emory faculty member Yinzi Kong, viola, performs the Atlanta premiere of James Syler’s Concerto for Viola, Winds and Percussion on Friday, Feb. 24, at 8 p.m. in Emerson Concert Hall. This concert is free and open to the public. Capping off the month are sibling pianists Katia and Marielle Labèque with their piano duet performance as part of the Candler Concert Series on Sunday, Feb. 26, at 4 p.m. in Emerson Concert Hall. The Labèques started performing at a young age and have since developed a stunning career worldwide. From performances at the Berlin Philharmonic and the Boston Symphony to being sought-after musicians by famous composers such as Thomas Adès, Louis Andriessen and Luciano Berio, the Labèques are two of the most esteemed piano players in the world. Tickets are on sale now.